There are no comments for Flag Of Gambia Heart. Click here to post the first comment. Flag of Gambia Heart by Roy Pedersen. www.roypedersenphotography.com The Gambia is located in continental Africa. 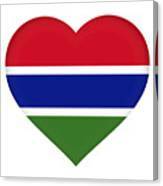 The Gambia has 1 neighbouring country. The total length of land borders of The Gambia is 460 mi/ 740 km. The Gambia border is Senegal 1,882,450 people are living in The Gambia, a country stretching over 4,361 sq mi/ 11,295 sq km. The population density in The Gambia is of 432 per sq mi/ 167 people per sq km. 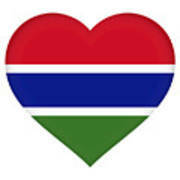 The official language of The Gambia is Arabic. The capital city of The Gambia is Banjul. The currency in The Gambia is the Gambian dalasi D (GMD). 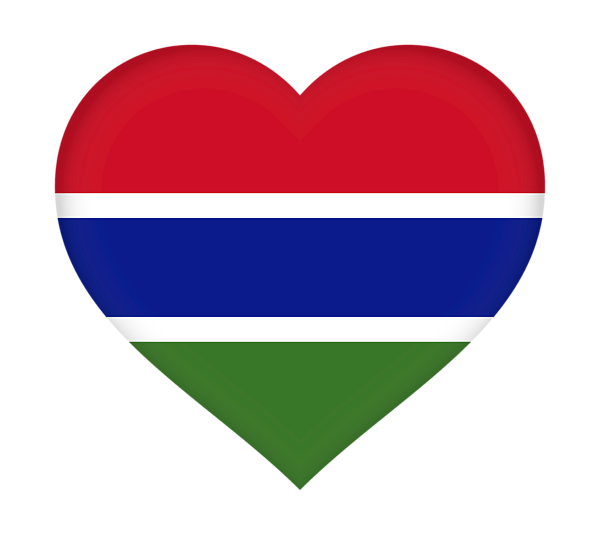 The Gambia has the unique two-letter country code, GM (also Internet top-level domain), its three-letter country code is GMB.